Recently we took a mini getaway to Orlando. Danny had business to tend to so the kids and I came along for some fun in the sun. We love...love...LOVE Orlando! 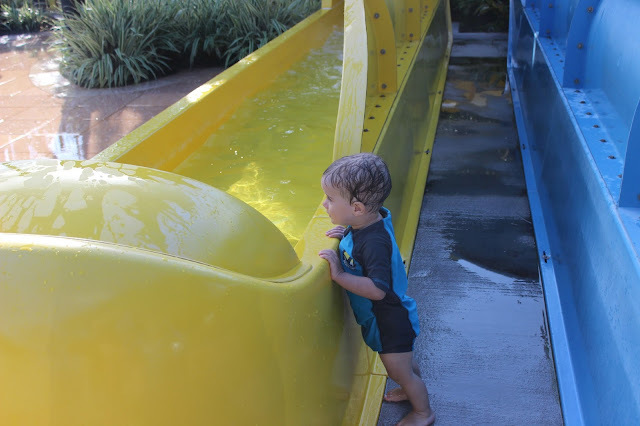 It's only a little over an hour away and there is always so much to do with the little ones. 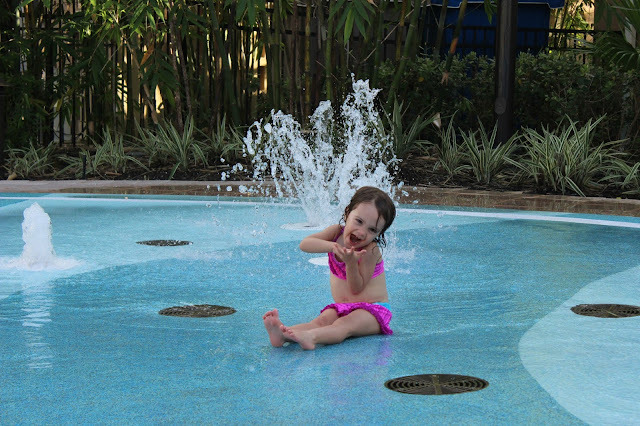 This time around we stayed at the Renaissance Orlando at Sea World and the kids had such an amazing time. The resort had a it's own R Aqua Zone Water Park where we spent two days basking in the sun and splashing away. 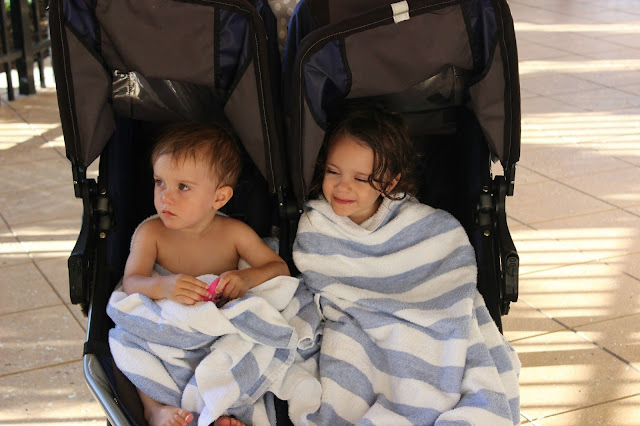 It really made me realize that there is nothing more relaxing than vacationing somewhere that is super kid-friendly! I'm gonna miss you summer! 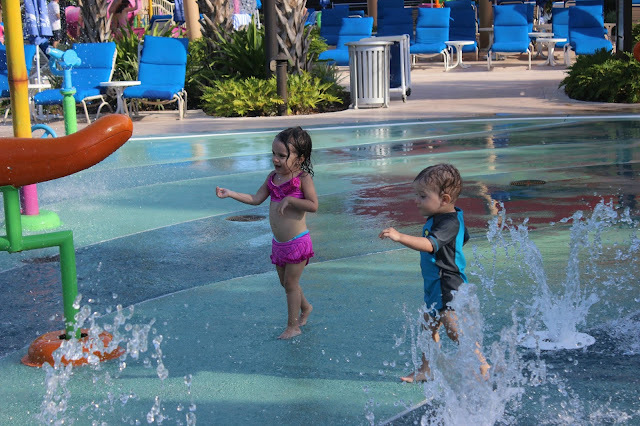 Even though it doesn't get too cold here, nothing beats splashing away in that Florida heat! 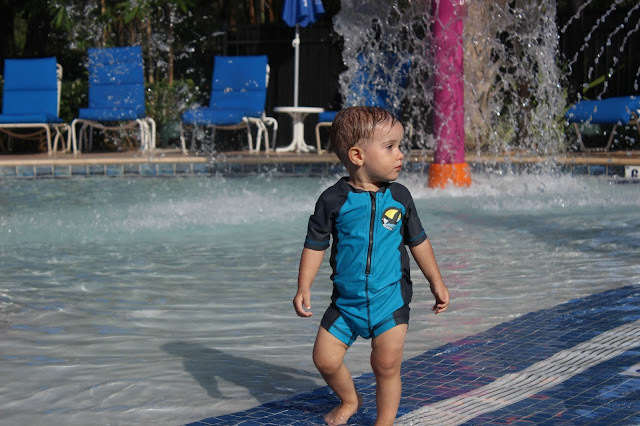 Do you and your family have any special getaways? Orlando is our getaway too. We love going to the Omni. The girls love their lazy river and slide. Oooooh I've never heard of the Omni, I will have to check it out! Sometimes I just want to be a little kid; looks like a great time! I want to be a little kid too :) atleast we can still be a kid at heart!